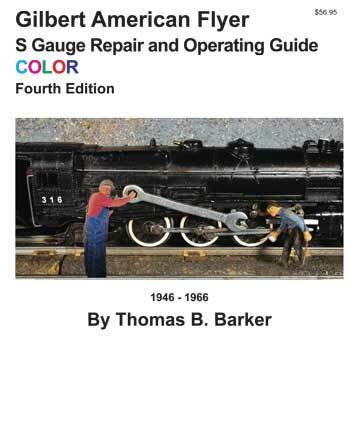 A vastly expanded 4th Edition of the Gilbert American Flyer Operating and Repair Guide Book by Thomas Barker has been released. Tom has incorporated all the topics of Vol. 1 and Vol. 2, plus an additional 100 pages of new topics, including use-friendly wiring diagrams, a large chapter on accessories, and a reorganization that guides the reader into the philosophy of AF repair. There is also a complete index to all topics. Available in black and white or color editions.